Gun rights groups allied with a domestic violence survivor won a case seeking to block an Illinois housing authority’s “no guns allowed” policies. U.S. District Judge J. Phil Gilbert, an appointment by President George H. W. Bush to the federal bench, slapped down the East St. Louis Housing Authority’s gun prohibition in a three-page ruling issued this week. The authority’s lease specifically restricts firearms possessed by the renter or guests “anywhere in the unit or elsewhere on the property” and the units are subject to “special inspections” at any time. This, argued the plaintiffs, amounts to a program that denies people their right to keep and bear arms simply because they are at a financial disadvantage and need government housing. As such, the order blocks ESLHA from enforcing their ban and requires the subsidized housing provider to change their lease to no longer prohibit those otherwise qualified under Illinois law to possess firearms in their residences. The case was brought last year by an unidentified plaintiff who was forced due to family health issues to seek governmental assistance. The woman, hiding from a violent domestic abuser, could not possess a legal firearm in her residence due to ESHLA’s policy. The case was backed by the Illinois State Rifle Association and the Second Amendment Foundation. Similarly, other states have moved to overturn gun bans in public housing in recent years following legal challenges. 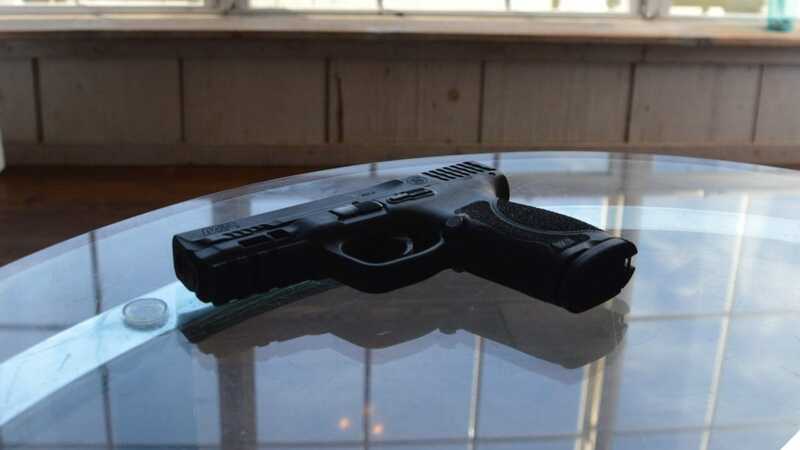 In 2014, a ruling by the Delaware Supreme Court struck down existing policies prohibiting guns in common areas of the Wilmington Housing Authority as unconstitutional.